A handy pack of 10 traditionally shaped carpenters’ pencils that also includes a sharpener. Features: 10 Traditional carpenters’ pencils. Designed not to roll away. Includes specially designed pencil sharpener. 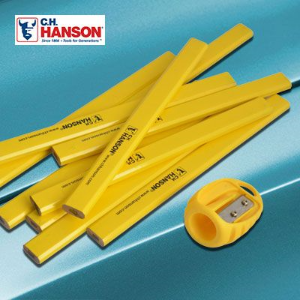 A handy pack of 10 traditionally shaped carpenters’ pencils that also includes a sharpener. Designed not to roll away. Includes specially designed pencil sharpener.